Once there was a father, a mother, a sister and a brother. One day a little baby boy was born to that family. How happy the mother was when she looked on his face. The father, sister, and brother were very proud of the baby and loved him very much. Although the family was happy about the new baby, they did not tell anyone at all about him. They hid him in the house and kept him very quiet, for they were afraid that the king would find him. 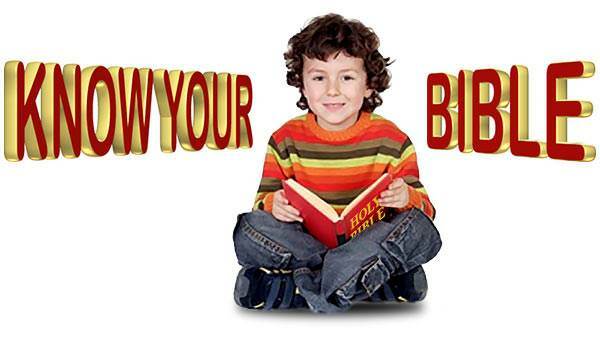 The king of the country did not like the heavenly Father’s people, and he said that all their little boy babies belonging to those people should be thrown into the river and drowned. The baby grew very fast. After three months the mother knew she couldn’t hide him any longer. He cried and laughed so loudly. What could she do? 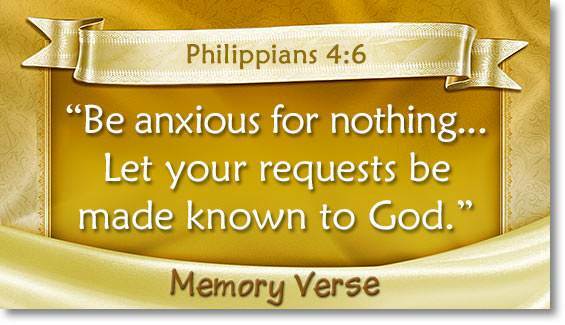 The heavenly Father helped her to think of a plan. She went to the river and gathered some tall reeds and grasses. She took them home and made a basket big enough to put the baby in. 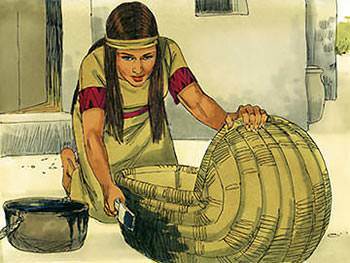 She wove the basket close and tight and then put some kind of soft clay all over it to fill up the open places and keep the water out. When it was finished it was a snug little basket boat that would float in the water. 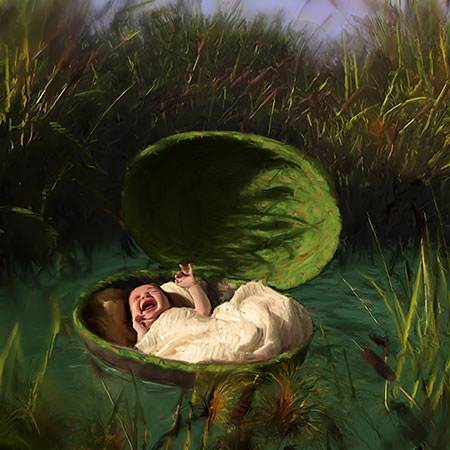 Then she put her baby in the little basket boat and carried it down to the river. 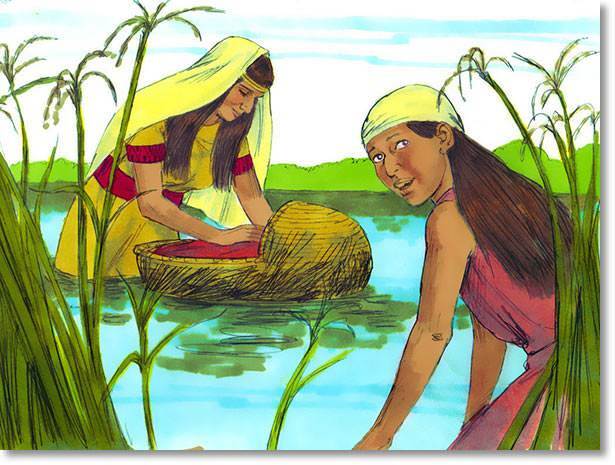 There among the tall grasses that grew along the river bank she hid the boat. But she did not leave the baby alone. 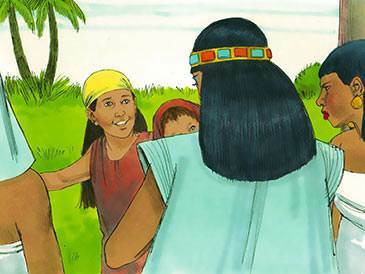 Miriam, the big sister, hid in the grasses near by and watched to see that nothing harmed him. All was still. Then Miriam heard footsteps, patter, patter, patter! She peeped out. It was the king’s own daughter and some girls who waited on her. 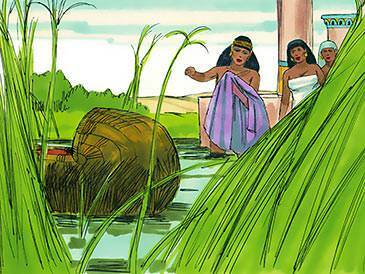 They were coming down to the river to bathe, and coming right toward the place where the little basket boat was hidden! Would the princess see the basket boat? Miriam wondered. 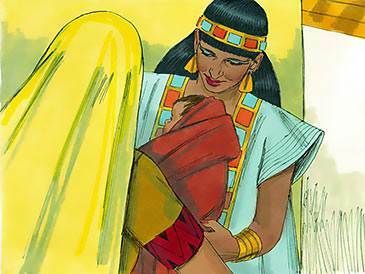 When Miriam heard these words, she came up to the princess and said, “Shall I get you a nurse for the baby?" “Yes,” said the princess. 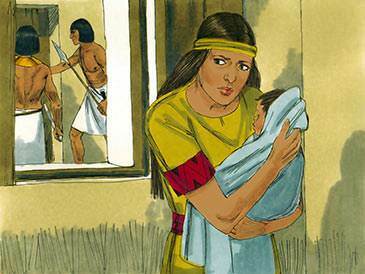 “If you know of a nurse bring her here at once.” So Miriam ran as fast as she could and brought—who do you suppose?—the baby’s own mother! The baby Moses was safe now. The king would not harm him. How happy the mother, father, brother and sister were! I am sure the family thanked God, the heavenly Father, for caring for their baby.